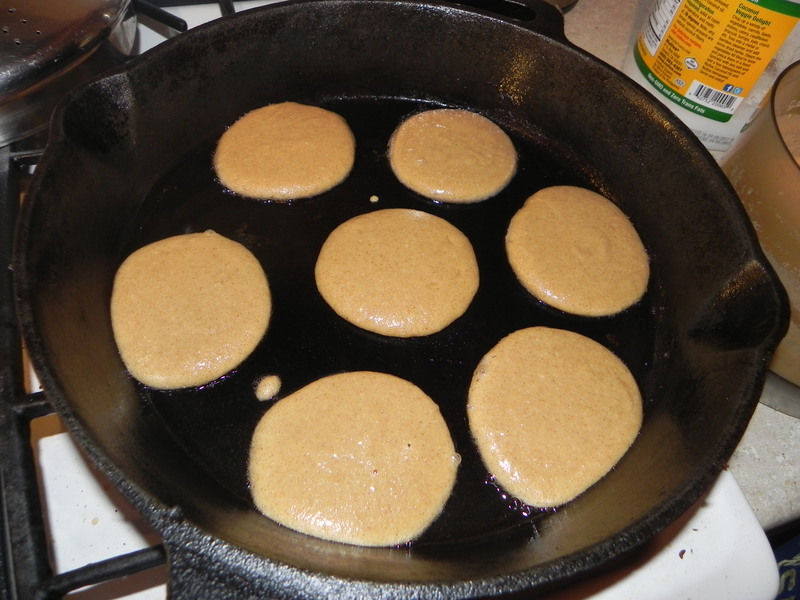 Heat up your pan/skillet with a tablespoon of coconut oil so that it will be nice and hot for your ‘cakes. Mix the dry ingredients together in a food processor then add the wet ingredients until just incorporated. Use your 1/4 cup or a big spoon to fry these babies up and keep adding more oil as the skillet gets dry. Makes 22-24 small pancakes. Top with all manner of yummy pancakey toppings. The leftovers refrigerate well and, reheated in the toaster oven, make a great Second Breakfast if you are pregnant or a Hobbit. Love my big ol’ cast iron skillet! If you are interested in learning more about almond flour in baking, Elana is the Almond Queen. And if you want to learn more about all things coconut, head over to the Tropical Traditions recipe page. Enjoy! Share your favorite grain-free recipe below. 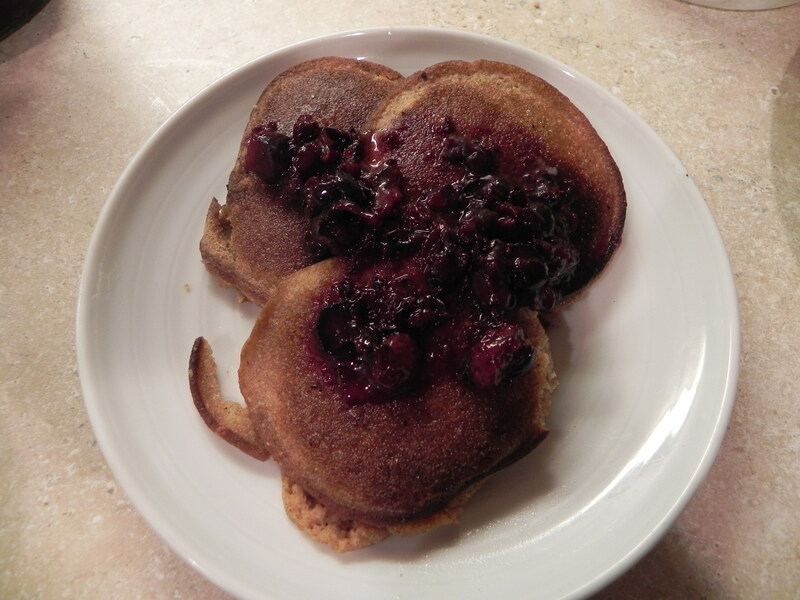 Jack also said you can use sourdough starter to make pancakes. I haven’t tried it yet, but am curious.